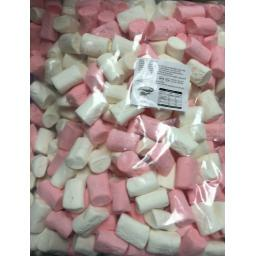 Monster Mallows are a unique type of marshmallow that are a square shape. 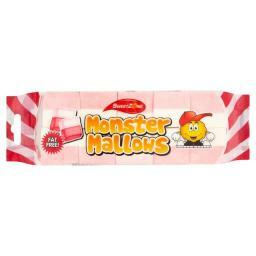 Half of each square is pink (strawberry) and the other half is white (vanilla flavour). 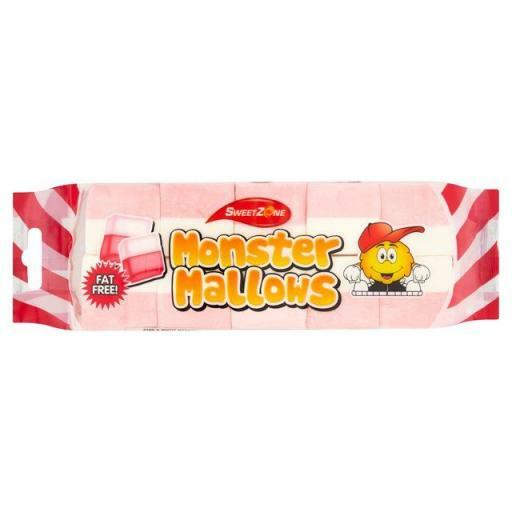 Each marshmallow is just over 8g in size which is about 3 times the size of a standard mighty mallow which makes them quite monstrous in size. They also have extra strong flavours which taste extremely pleasant.